For most Jehovah’s Witnesses, the term “blood transfusion” conjures up a grim mental picture of a patient connected to a suspended IV bag bearing the label “CPD WHOLE BLOOD [HUMAN].” Several other labels stating such enigmatic things as “Kell Negative”, “Anticoagulant Citrate Phosphate Dextrose Solution USP, “and “Group O Rh Positive” practically obscure the dark red fluid within that they regard with a mixture of fear and revulsion. Despite how widely held an image this is, it is not one that is entirely accurate. For a number of reasons ranging from issues of efficacy and practicality to simple economics, whole blood is administered very infrequently today. Donated blood as a rule, is almost always broken down into its component parts soon after being collected. In this way, individual patients are given not whole blood, but only the specific blood component that they actually need. This is known as “blood component therapy.” There is therefore no single answer to the question “What is a blood transfusion?” because technically, a blood transfusion has taken place when any one of these components is administered. The question has as many answers as there are transfusion types. Blood transfusions can be divided into the following main types and subtypes. One unit of PRC’s contains the red cells from a unit of whole blood plus a small amount of plasma with an anticoagulant. A unit of red blood cells that have been washed and resuspended in a saline solution. Washed Red Cells are free of almost all traces of plasma. They are given in place of packed red cells in patients who are hypersensitive to plasma proteins or when multiple transfusions are anticipated. A unit of RBC’s that has been filtered to remove white blood cells. White Blood Cells or leukocytes generally are not transfused. However, granulocytes (a type of leukocyte) are occasionally given to leukopenic patients with very low granulocyte counts and to patients with runaway bacterial infections that are unresponsive to antibiotics, although the effectiveness of this treatment for either condition is debated. Whilte white blood cells are officially forbidden, at least one Witness received a green light to accept a transfusion done under the description of “peripheral blood stem cell autografting”. The incident is documented in an article published in the Archives of Internal Medicine. Platelets are essentially irregularly shaped cell fragments. They perform a vital role in blood coagulation and hemostasis. (the cessation of bleeding) When an injury occurs, platelets adhere to each other and to the edges of the injury to form a plug that covers the area. This plug is stabilized by the activation of protein coagulation factors that result in the formation of a mesh around the platelet plug. 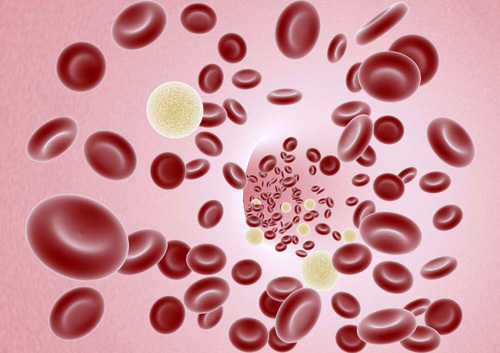 Platelets are given in the treatment of thrombocytopenia and other inadequacies in platelet number or function which can be caused by chemotherapy or excessive blood loss. Plasma consists of 90% water with the remaining 10% being primarily composed of the plasma proteins such as albumin, fibrinogen, the various clotting factors, (designated I through XIII) and the immunoglobulins. Plasma also contains small amounts of sodium, potassium, calcium, magnesium, chloride and other minerals. Plasma is administered for factor V deficiency and other bleeding disorders for which no factor-specific concentrate is available. Albumin is the most abundant of the plasma proteins. Albumin provides the critical colloid osmotic or oncotic pressure that regulates the passage of water through the capillaries by virtue of the fact that it diffuses very poorly through the capillary walls. Abnormally low levels of Albumin will result in excessive leakage of fluid in the tissues known as edema. Albumin also performs a number of other functions including the transportation of nutrients and wastes, the binding of toxins and heavy metals, and the prevention of red blood cells from ‘sticking’ together. Albumin is available in either 5% or 25% solution osmotically equivalent to normal plasma. Albumin is transfused to replace proteins and fluids in burn patients and in cases of shock due to hemorrhage or surgery. Albumin is also administered for adult respiratory distress syndrome and in cases of liver failure. Among the plasma proteins, the immunoglobulins or antibodies as they are also called are normally second only to albumin in concentration. Antibodies are synthesized by plasma cells in the lymphoid organs and are a vital component in the defense against infection. The immunoglobulins are commonly divided into five classes designated as IgA, IgG, IgM, IgE, and IgD. Immunoglobulins in the gamma family (IgG) are commonly used in a number of vaccines including TIG (Tetanus immune globulin) HBIG, (Hepatitis B immune globulin) VZIG (Varicella zoster immune globulin) and RIG. (Rabies immune globulin) Immunoglobulins are administered both intravenously and intramuscularly (as injections) depending upon the type. Factors I through XIII are agents which are part of the complex process whereby blood clots in the event of injury. When someone is afflicted with the genetic disorder known as hemophilia, one of these factors is missing. (factor VIII for hemophilia A, factor IX for the rarer hemophilia B or Christmas disease as it is sometimes called.) One way to extract the clotting factors used in the treatment of hemophilia is by freezing and then slowly thawing the plasma. The extracted product is called Cryoprecipitated Antihemophilic Globulin. In addition to the aforementioned allogeneic (from the blood of others) transfusion types there are also three main autologous (from your own blood) transfusion types. Patients who are likely to require a transfusion during an upcoming surgery may decide to donate their own blood beforehand for possible reinfusion. as needed. This procedure virtually eliminates any of the traditional risk factors associated with allogeneic blood. Through the use of a piece of equipment specifically designed for this purpose, (usually called a “Blood Salvage Machine” or “Cell Saver”) blood seeping into the surgical field can be suctioned off and processed. The red cells are separated and “washed” so that the heparin, fat, and free hemoglobin are removed. These washed red blood cells are then transfused back into the patient. In this process 3 to 4 units of the patient’s blood is removed and replaced with a plasma expander before surgery then transfused back after surgery as needed. Since this process reduces the total number of red cells in the body, the blood that is actually lost during surgery is “diluted.” The net result is a significant increase in the amount of allowable surgical blood loss. This in turn can diminish or even obviate any need for allogeneic transfusion of red cells. Jehovah’s Witness Patient Department of Anesthesiology, Loma Linda University School of Medicine, Loma Linda, California. How Can Blood Save Your Life? Brooklyn: Watchtower Bible and Tract Society, Inc., 1990. The Watchtower March 1, 1989 pp. 30-31 Brooklyn: Watchtower Bible and Tract Society Inc.